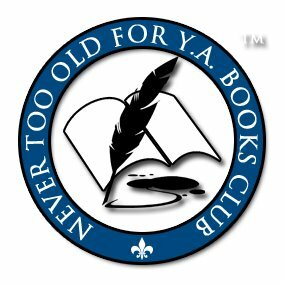 Welcome to author Thursday, hosted by Never Too Old for YA Books group on Goodreads. 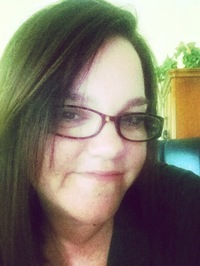 Today we welcome author Monica Murphy to the group. Have you read any of Monica's awesome books? And now, without further ado, let us hear what Monica had to tell us! First I was a voracious reader. From the time I was young, I read constantly. As I grew older and devoured a ton of YA books and romances, I realized I wanted to write them. Took me a while (marriage, work, babies) but I’ve finally turned it into a career. Being an author is my dream job. I’m a fast writer. It took me about five weeks to write Second Chance Boyfriend. But when I’m in love with the story, it tends to pour out of me. Compelling characters, bar none. A book can have a great plot, wonderful writing and beautiful description but if I don’t care about the characters and what’s happening to them, then I’m not invested. Pure madness? Ha. I tend to write when my kids are in school, so from 8 a.m. to 3 p.m. I’ll write after they go to bed too. Since currently I’m on deadline, I’ve been doing that a lot. It’s so tough. My husband just gave me an encouraging little speech tonight. I’ve been so busy lately I hardly have time to breathe. But then I remember my kids won’t be this age forever and I walk away from the computer and hang out with them. But it’s hard to ignore your work when it’s always there mocking you. It takes as much discipline to work from home and get the job done as it does to make yourself take time off! This is such a hard question. Ideas usually come to me out of nowhere. Watching TV, reading a magazine, hearing a story someone tells me. Heck, my husband made up a goofy plot a few days ago and I was nodding and saying, “I love it.” Inspiration is everywhere. You just have to look for it. My characters tend to take over like they have a mind of their own. It’s ridiculous considering I created them, but I really do feel like they make their own decisions sometimes. I sound crazy. Well, as Monica I’ve written two books and am contracted to write three more. My favorite? That’s like asking who’s my favorite child! I love them all. Not really but I take pieces of people I know or have met and include them in my characters. Pieces of me show up in them too. Sometimes consciously, sometimes subconsciously. My desk on my pretty new iMac. Love this thing more than I probably should. Read. Hang out with my family. Travel. Watch really bad reality TV (I call it research). Never ever stop learning. Don’t be afraid to experiment. And finish the book. That is the biggest thing. I would play and write a scene here, write a scene there. But when I finally, finally finished a book, that helped me realize that hey, maybe I can do this writing thing. Finishing a book takes courage. Be brave and finish the thing. It’s the best feeling in the world. My grandma kept a book and she asked me every year through grade school what I wanted to be when I grew up. I usually said a teacher. That so didn’t happen. There are just too many to mention but a book that touched me deep and amazed me with its greatness is Stephen King’s The Stand. I’m sorry but when you can create such a huge cast of characters and I care about every single one of them, you are a master storyteller. King included the POV of a dog for the love of God. And I even cared about that damn dog! Everyone has their own methods and they have to find out what works for them. I will say discipline is key and learning your craft. Don’t think you can ever stop learning. There is always something new out there to absorb and learn from. Oh, and make friends with other writer peeps! They will be your lifeline, your support, your posse. I am so thankful for my writer friends who understand exactly what this business is all about. Cherish your writer friends! The first book in my new series for Avon Impulse. It’s a little different compared to One Week Girlfriend and Second Chance Boyfriend. Sexier, a bit more romance-y, but the characters are still on the younger side (mid to late twenties) and I’m writing it in first person, alternating POVs. I’m excited for people to meet these characters. They’re fun. Thanks so much for stopping by to talk with us today, Monica. It's been a pleasure having you here! Monica Murphy is a wife of one and mother of three. A native Californian, she lives in the foothills below Yosemite but hasn't visited the park in years (whoops). She is also the author of theUSA Today bestselling One Week Girlfriend and its sequel,Second Chance Boyfriend.